In October 2015, a man called George Bender committed suicide in the town of Chinchilla, Queensland, Australia. His death was particularly significant as he had been fighting for ten years to keep coal seam gas (CSG) mining companies from entering his land. At the time of his death, his bores, which then-Senator Glenn Lazarus noted “provided much needed water for his family and farm, had dried up as a result of CSG mining activity taking place in the nearby area. 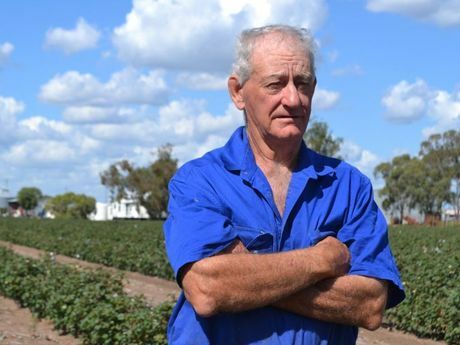 They then wanted to come on to his land and install a number of CSG wells which would have further disrupted his farming business and caused additional pain, suffering and financial hardship for George and his family." Mr Bender’s death and the events which led up to it are an example of the impact which CSG mining can have on vulnerable people. Sisters from Mercy International Association subsequently visited Chinchilla to gain a local perspective on this global issue, and have since been sponsoring submissions to the Permanent Peoples’ Tribunal Session on Human Rights, Fracking and Climate Change, which will be taking place from 14 to 18 May 2018.
the work of Mercy International Association here.